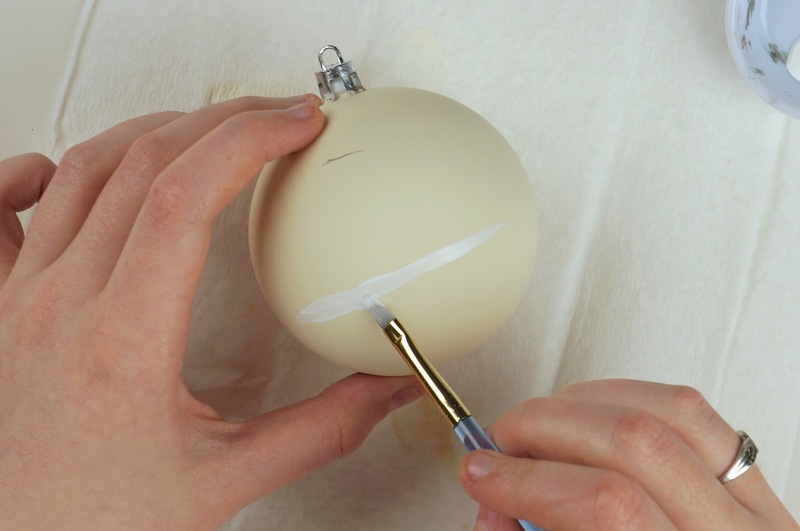 *If you are using a glass ornament this step will probably be necessary to avoid the paint chipping off of the glass. 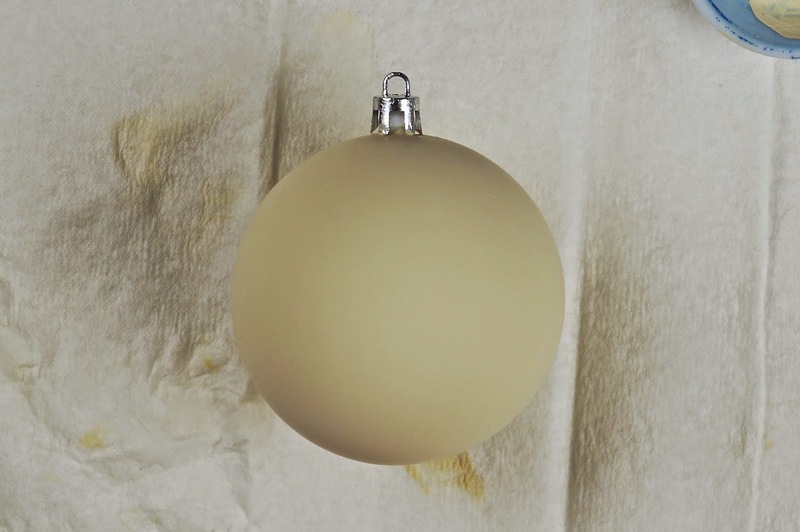 Start off by painting your ball ornament cream. You might need to do multiple coats of paint. Let the paint completely dry before moving on. 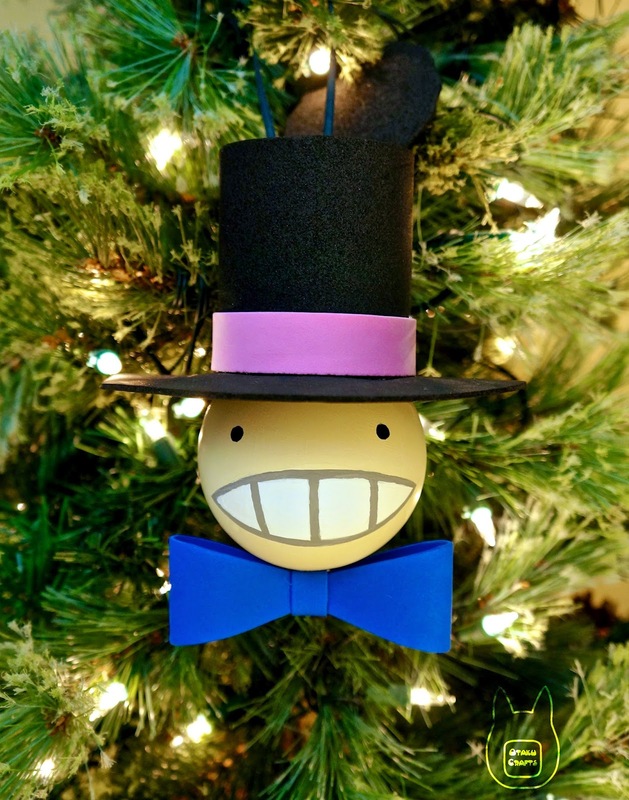 Mark the ball roughly where you want the hat to be placed later (make sure that the ornament hanger is at the top). 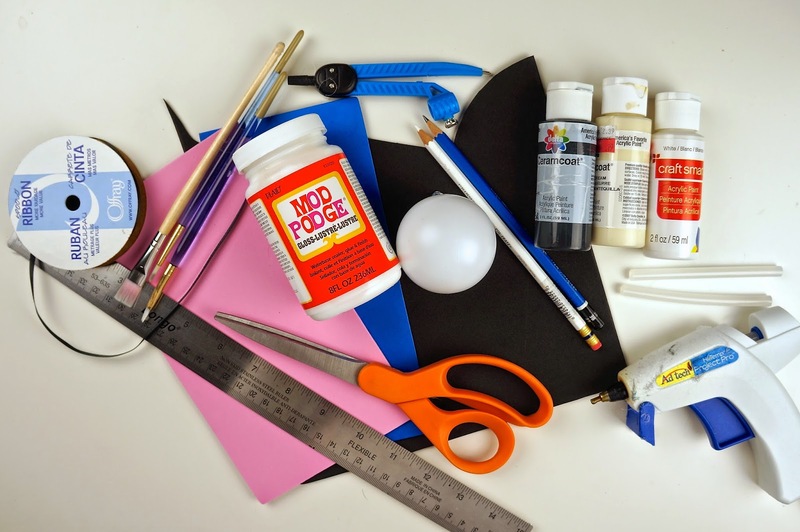 Paint an oval shape with white paint on the lower center of the ball. You might want to use reference pictures of Turnip Head to help with size/placement. Add 2 small black dots of paint for eyes. Mix some of your black and white paint to get a medium grey shade. Outline the white oval (make sure the white paint has dried). 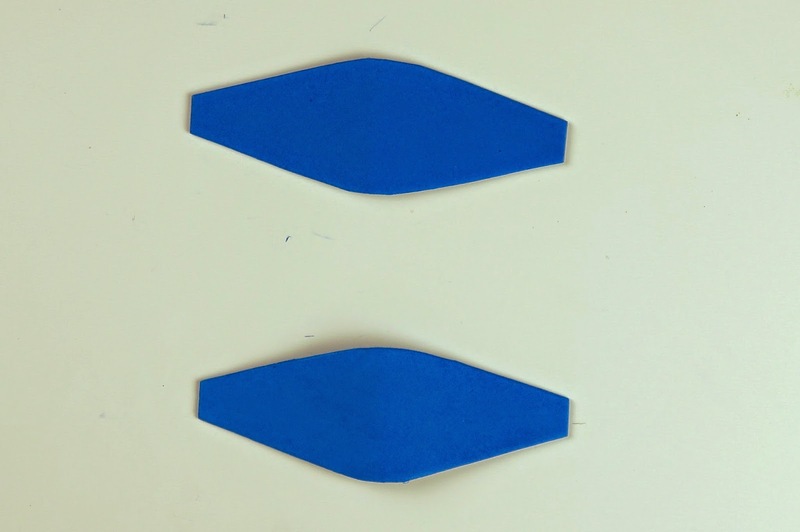 Paint a grey line down the middle of the oval and then a line between the center line and each oval end. Let the paint completely dry before moving on. If you want you can now coat the ball with your choice of finishing coat/spray. 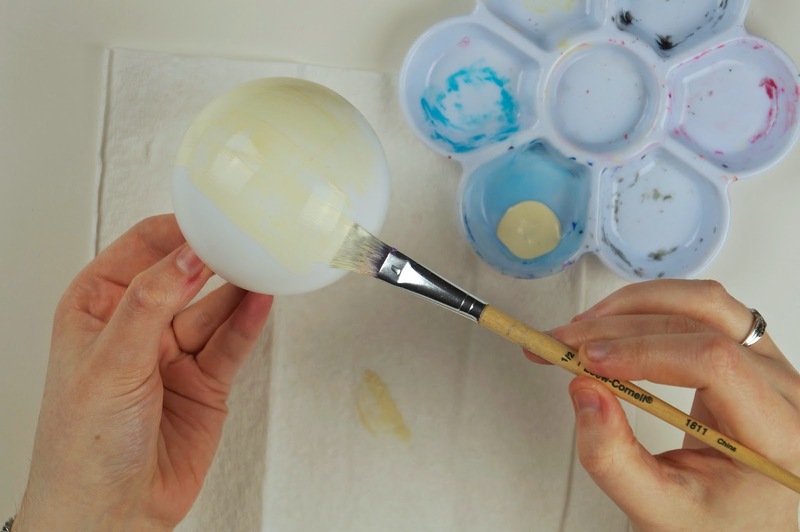 If you've painted on a glass ball this step will probably be necessary to avoid the acrylic paint from chipping off. Let your finishing coat dry before moving on. 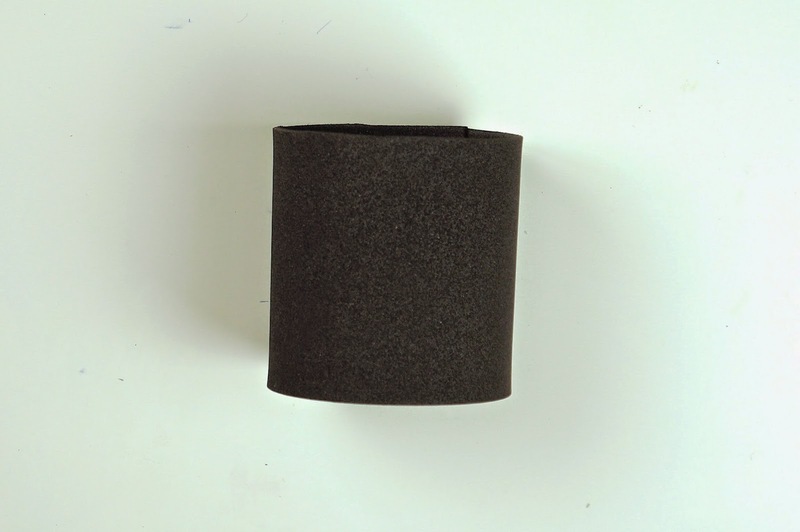 Wrap your black foam around the top of the ornament where you marked for the hat to go. Mark where the foam overlaps. Add about a 1/4" to that measurement for gluing. Measure the height of your ball (3" for ours). 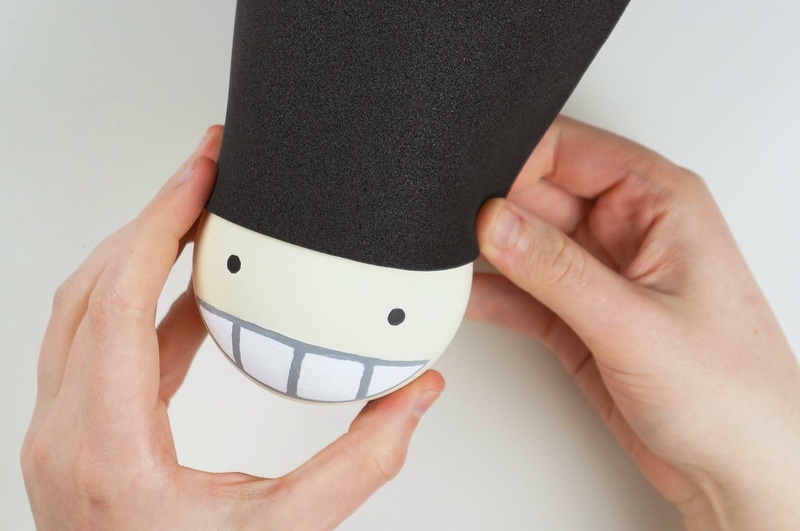 The hat will be the same height. Mark your measurement onto your foam. Cut out your rectangle. 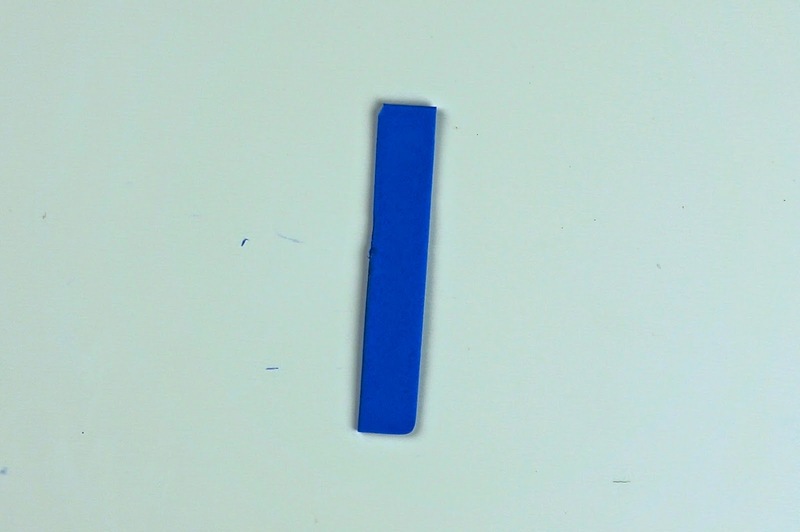 Glue the short ends of the rectangle together to create a tube. 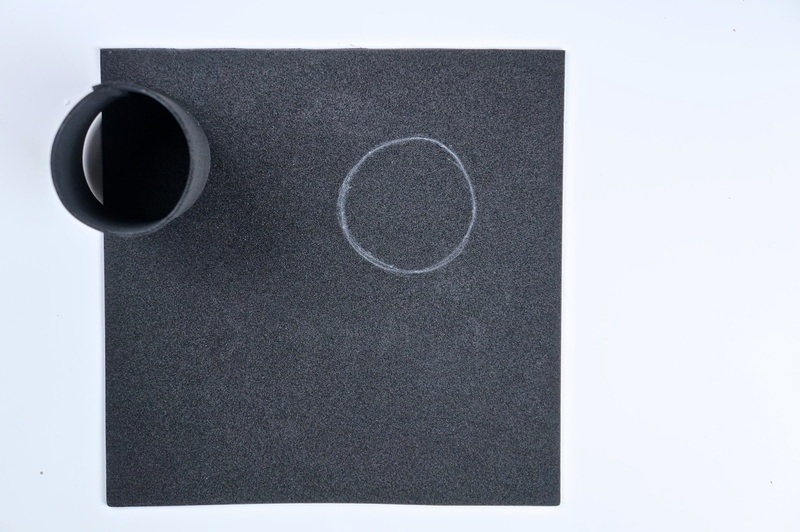 Trace the end of your tube onto black foam. 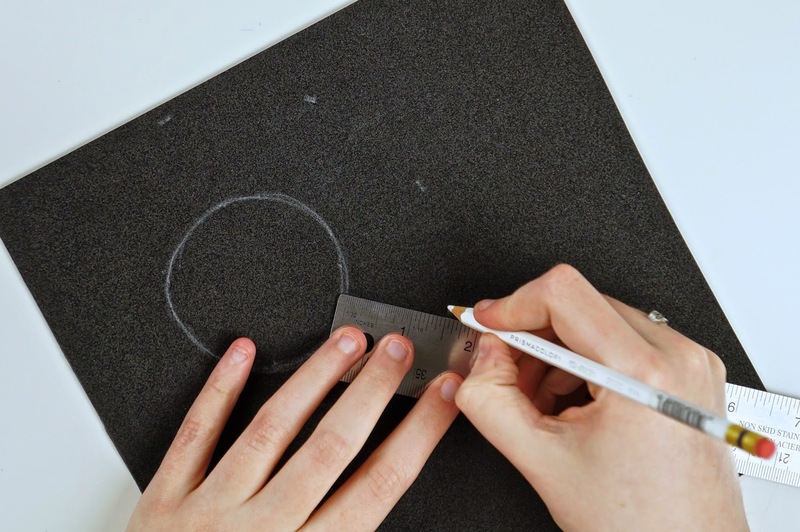 Measure and mark distances of half of the height of your hat from the edge of your traced circle (our hat is 3" tall, so we added 1.5" to the circle). 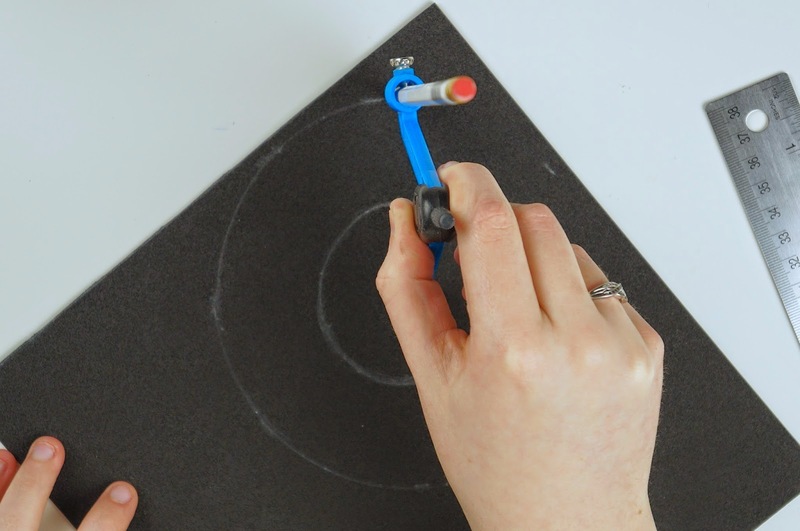 Use a drawing compass to connect your marked measurements into a larger circle. Cut out your large circle. 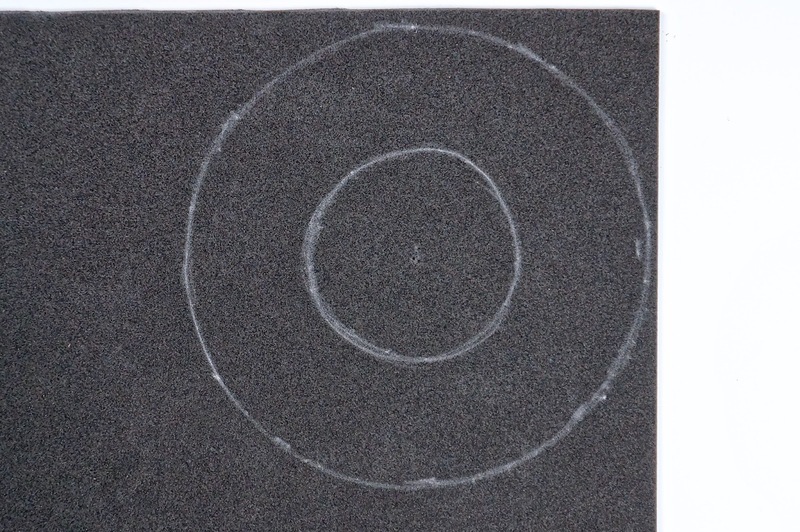 Also cut out the traced circle from the center of the large circle. These will become the brim of the hat and the top of the hat. 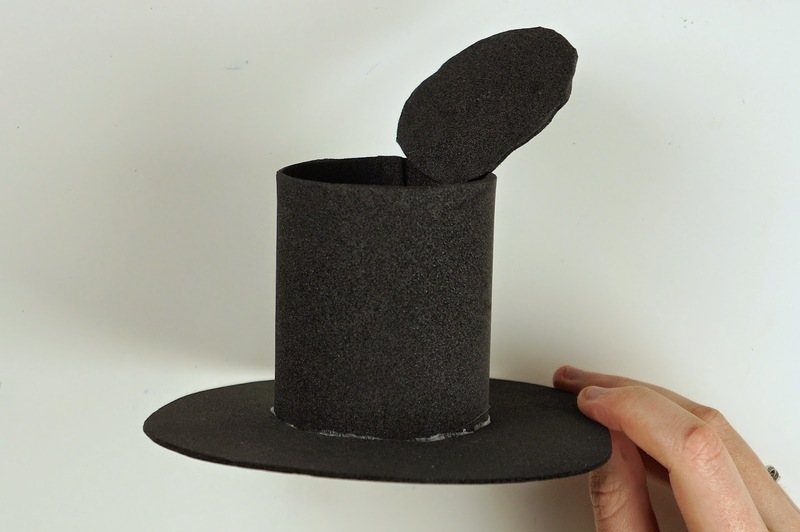 Glue the brim of the hat to one of the tube ends. Cut the circle for the top of the hat to make it more rough looking. Glue the hat top to the inside of the top of the tube off to one side. Measure and cut a strip of light pink foam that is about 1/4 of your hat height (.75" for ours) and is long enough to wrap around the hat tube. 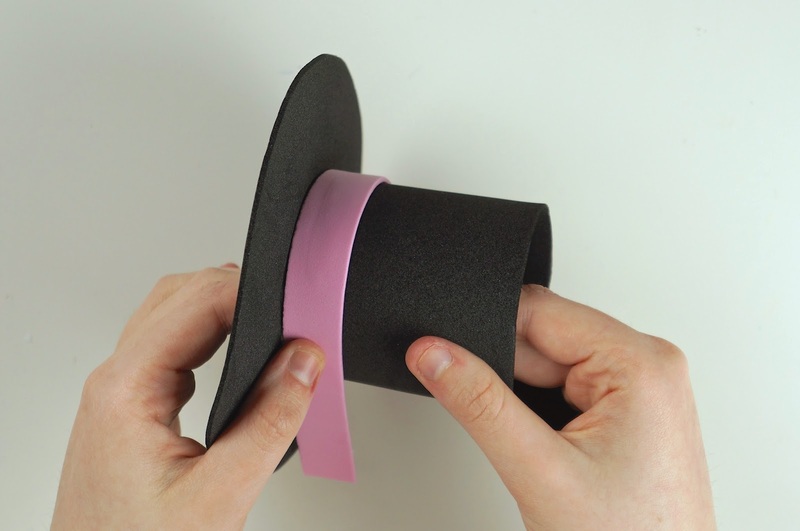 Glue the strip around the bottom of the hat. 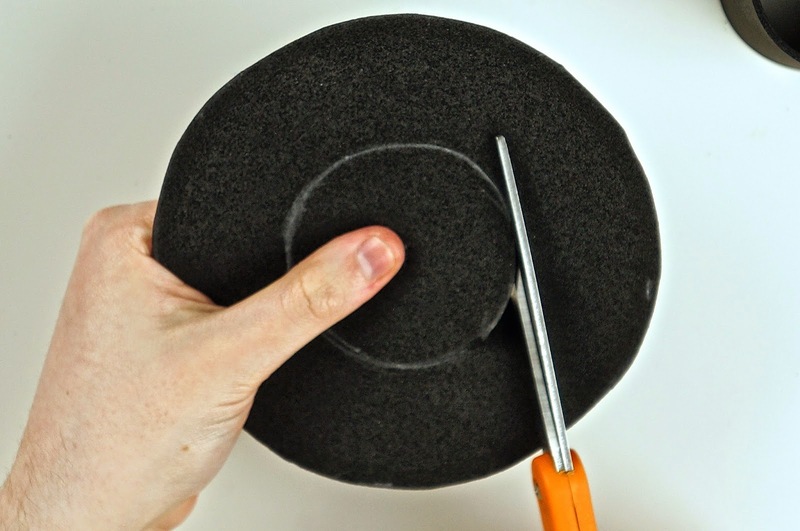 Glue the hat to the top of your ball. You might want to add the ribbon for hanging your ornament before attaching the hat. Place your ruler at the center bottom of your ornament and measure how far you want your bow tie to stick out (2" for ours). 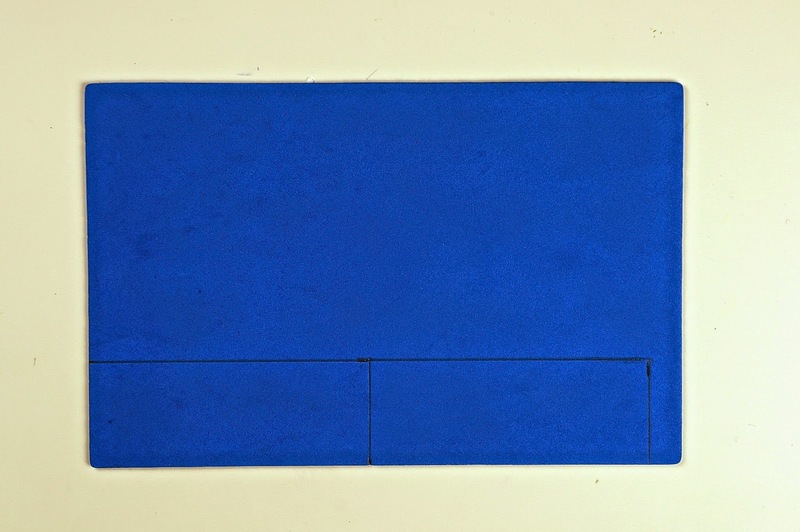 Draw 2 rectangles on your blue/purple foam that are half of your measurement by double your measurement (1" x 4" for ours). 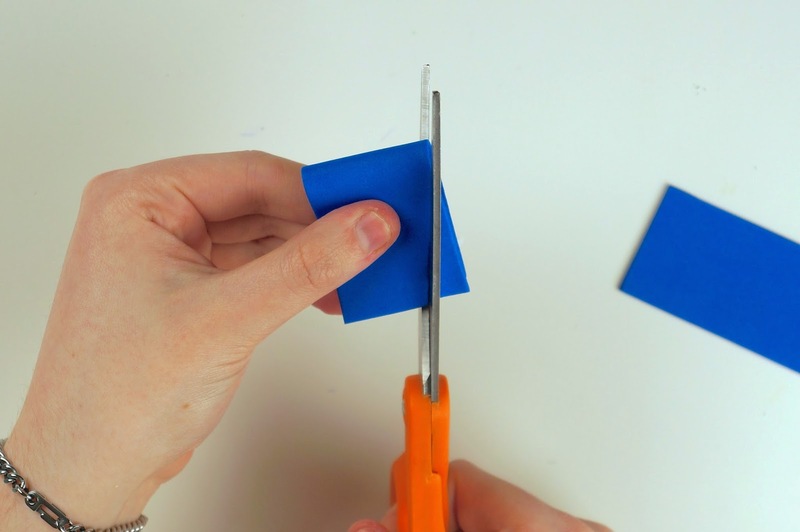 Cut out your rectangles. 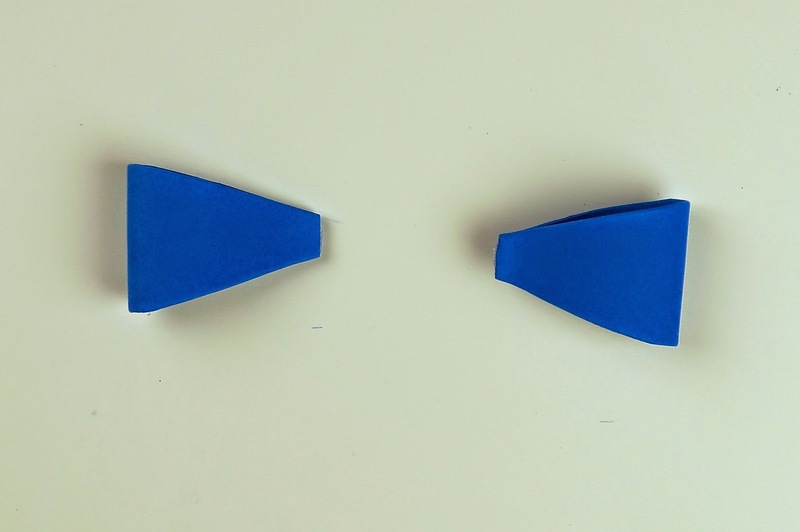 Fold one of the rectangles in half and cut off the corners on both of the open end sides. 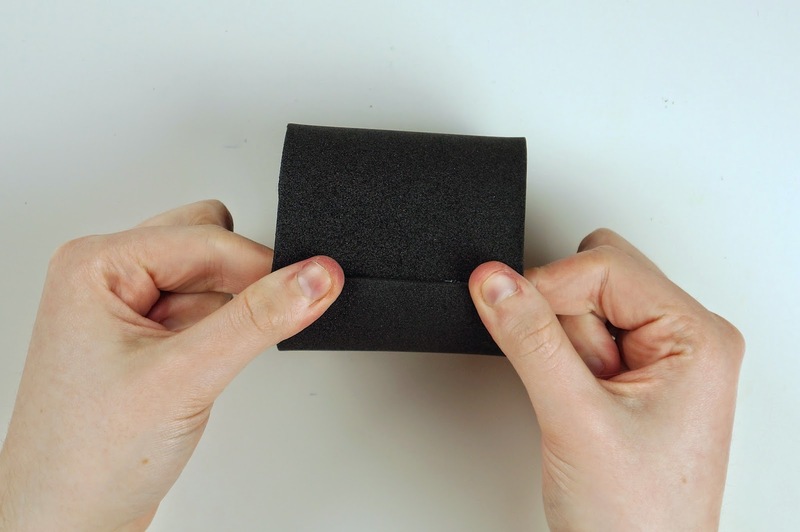 Unfold your rectangle. You should be left with an oval like shape. Do the same thing for your other rectangle. 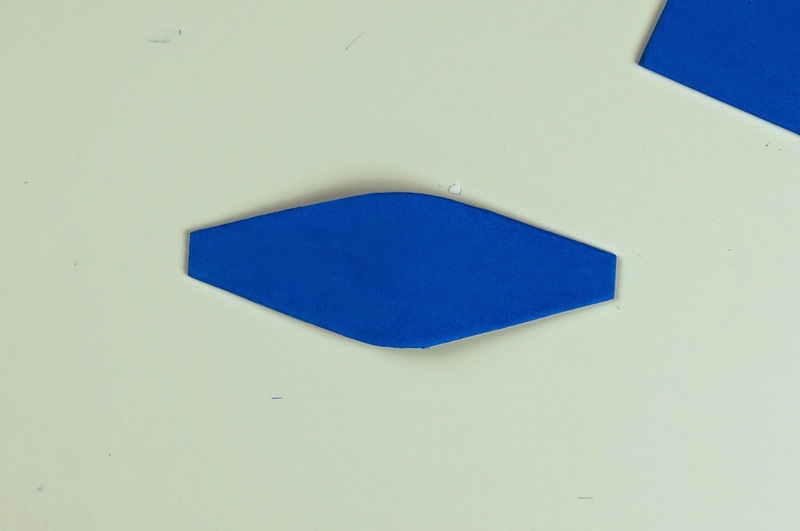 Glue the ends of the ovals together. 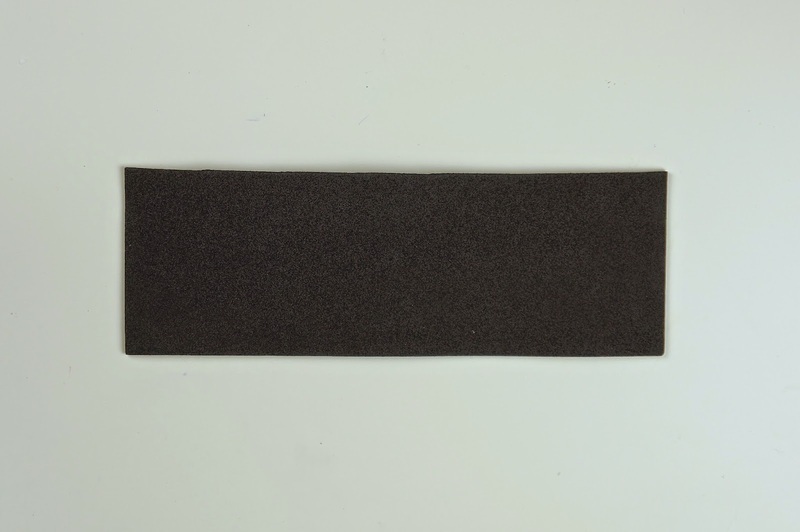 Cut a thin strip out of your foam. 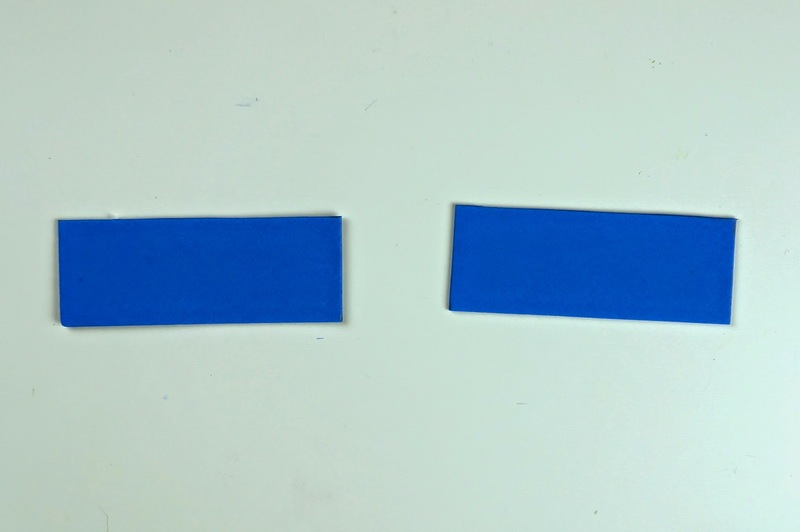 Glue the small ends of the bow pieces to the strip. 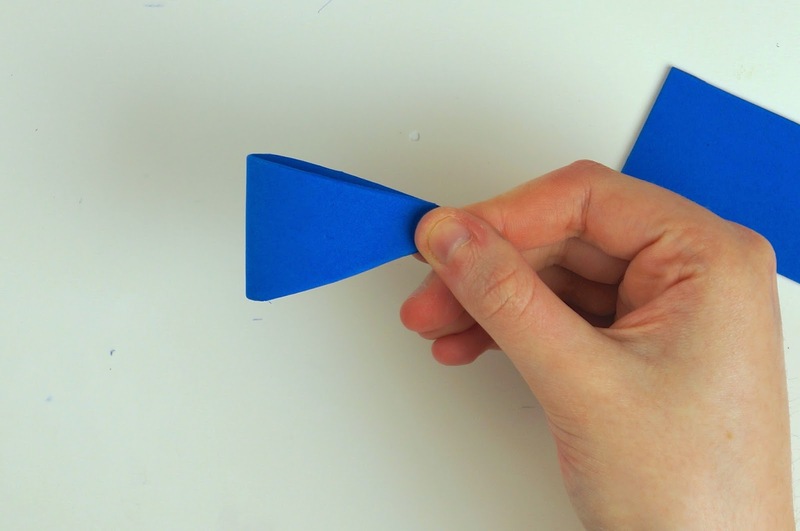 Wrap and glue the rest of the strip around the center to create your bow tie. Glue the bow to the bottom of the ball. If you haven't already attached a ribbon for hanging your ornament, do so now. 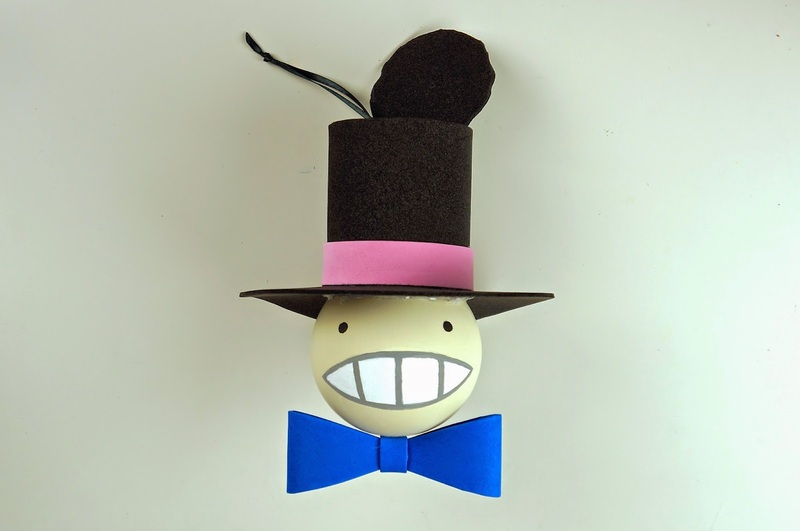 Cut a length of ribbon and thread it through the top of your ball ornament. Tie the ends together with an over hand knot. 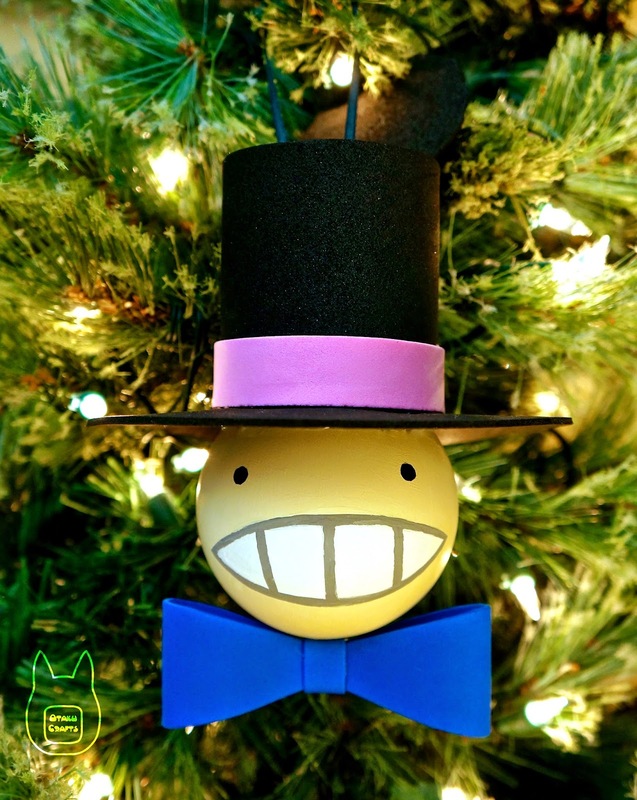 Now you have your finished Turnip Head Ornament!